I’m guessing credit is important to you … unless you never buy anything more expensive than candy bars. Or you walk around with $1,000 in your pocket all the time. Besides, you’ve come here looking for intel on Credit Sesame. Maybe you want to see if their promise of a totally “free” credit score check is true. Or to find out if they can help you with your credit and finances. Well in this review, you’ll find out. Are you average when it comes to debt? ValuePenguin researchers found the average credit card debt in America in July, 2018, to be $5,700. And male householders carry 22% more credit card debt than female householders. Remember, your credit card is just one kind of debt—called “revolving” debt. There are other kinds of credit, or debt, like student loans, home mortgages, and car loans. With all these money issues swirling around, Credit Sesame may be able to help you more ways than one. The mission of the company is to help you take control of your credit and loans and help you accomplish your financial goals. That partly depends on what you are looking for. You get started by signing up for an account (more on how to sign up later). That takes a couple of minutes. At that point, you can start selecting the various assistance and tools that you need. CS provides your credit score each month, for free. They give you $50,000 in identity theft protection. The basic ID protection is free. They also have 3 more levels of “Premium” protection, from $9.95 to $19.95 each month. … or when a better credit card or loan options become available. 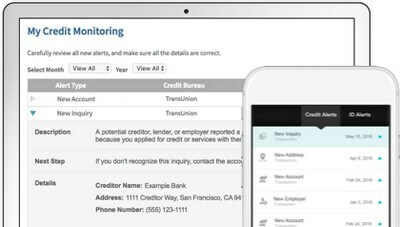 Mobile apps let you keep track of your finances. Depending on your needs, they recommend strategic steps to improve your credit profile. The company claims they help you find the best loans and credit cards for your profile. They’re always scanning options for better credit cards and loan debt for your situation. They supply over a dozen links for credit card tips and services. 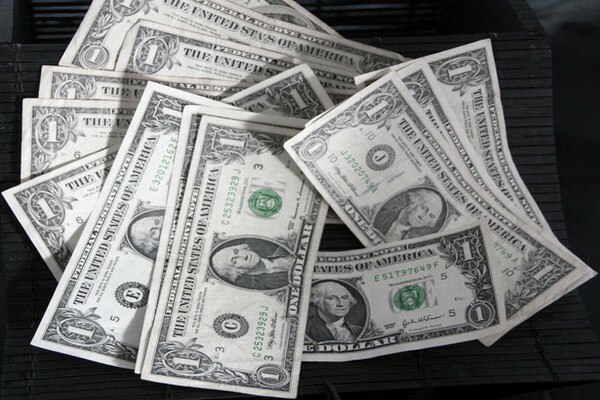 Plus 6 more to help with Home and Auto loans. In their section “From Our Experts” (under the “More” button on the home page), CS hosts credit related articles from The Wall Street Journal, Forbes, Consumer Reports, and other nationally recognized sources. But don’t expect any hot news there. The most recent article is from July 2015. 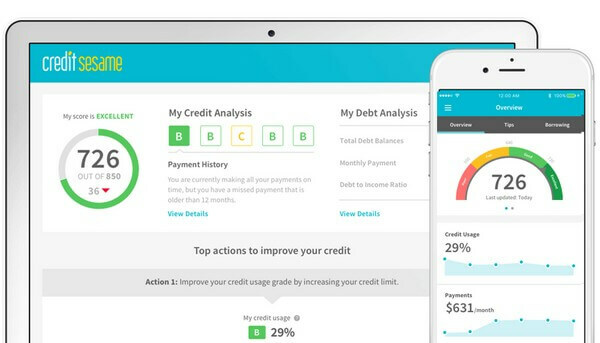 The company focuses on people trying to make smart credit decisions. With their help, you may be able to chart a money-wise path for your future. You may find that Credit Sesame helps you avoid falling into an awful debt situation. If you are already in dire straits, the company does not consolidate loans (which usually costs you before it saves you). And they do not help you renegotiate existing loans to get out of a big debt hole that’s already trouble. Think of them as preventive medicine, not as an emergency room. Are Credit Sesame credit score checks really free? Your credit score is also at the heart of most of Credit Sesame’s other free core services. To them, the credit check is as important as checking your pulse. Hopefully, your finances have one! It is vital to your financial well-being. Then their patented approach analyzes your credit and debt situation. Every day. To get or improve your home mortgage. However, like many website enterprises offering legitimate free services, Credit Sesame has additional services you pay for. Those other services are optional. Just decide which one(s) you want. You don’t have to get them if you don’t want to. 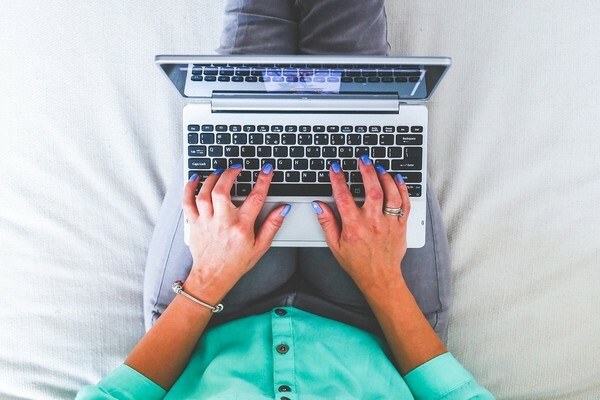 Does checking my credit score hurt my credit rating? The answer is, absolutely no. Credit Sesame uses TransUnion for pulling your credit info. According to TransUnion (and others) ”soft” credit inquiries like this will not impact your credit score. That’s because this kind of query is not an application for credit. You’re just checking on yourself. When you authorize CS to check your score for you, it is still “soft” as they act on your behalf and only report the score back to you. If there’s a “soft” inquiry, is there such a thing as a “hard” inquiry? For example, a bank or mortgage company will check your credit when you are buying a car or home. Even getting a new cable account or cellphone, or renting a car, can result in hard inquiries that impact your score. Hard inquiries can result in losing up to 5 points off your credit score. Is Credit Sesame safe & accurate? Your information is always encrypted. The company applies the strongest encryption methods available online and used by banks and the government. Also, their security practices are approved by Verisign. TRUSTe has validated the CS website privacy practices, as well. And McAfee SECURE certifies their site is secure, passing their intensive daily security scans. 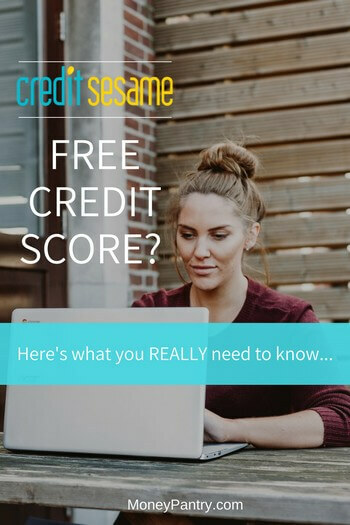 Credit Sesame draws their core credit data from TransUnion, which has not had the serious data hack that Equifax experienced a couple of years ago. This also means their data will be as accurate at TransUnion’s. CS never shares your data with third parties unless you specifically ask them to. And often will you do that?! What do their apps and tools look like? I hear Credit Sesame doesn’t use FICO to show credit ratings? VantageScore was created specifically to compete with FICO—the scoring model of the Fair Isaac Corporation. As Credit Restoration Tips explains, VantageScore was created by Equifax, Experian, and TransUnion jointly. It is considered more predictive and provides more consistent scores across all three bureaus. VantageScore makes scoring available for many people who are un-scorable by more traditional models. This can help younger folks just starting out. Or older folks, like ladies re-entering the workforce after relying on a husband’s resources and credit rating for years. Since 2013, there is not a big difference between the two anyway. VantageScore rankings pretty well match FICO’s. That makes it easier for everybody—you and lenders—although many lenders still prefer FICO. You’re always smart to find out what other reliable sources say about someone you may do business with. The Better Business Bureau gives Credit Sesame a score of A+ and a composite score of 4.06 out of 5 stars. AAA Credit Guide gives it 4 stars out of 5, as of 2018, and says that CS can be good for tracking your score. And also good for tracking how things you do can influence your number—up or down. The Reddit.com community has only a few comments about CS that are current. And these comments are neither catastrophic nor glowing. Step 1: The first step is to visit https://www.creditsesame.com. Step 2: Enter your email address and hit the “login or sign up” tab. Then fill out your personal info on the next page. Of course, you must provide significant personal information for a site that provides services like financial scoring, credit monitoring, tracking the value of your home, etc. Tidbits to confirm your identity. You do not need to give them a credit card. In less than 2 minutes, you’re in. Then you can start using their tools and apps right away. If you are concerned of a similar type of offer using the name Credit Sesame, please contact Tony Wahl, Director of Operations at (650) 641-2782. If you are in a rough spot with money already, maybe CS is not your first choice. Federal resources may be able to help you. You can find at least 3 types of support at USA.gov. You can call, chat online, or email gov/debt directly regarding your situation and needs. If you get help elsewhere, not a problem. Credit Sesame is a legitimate service. They offer much for free and additional services at fair prices. They’ve been in business since 2010 and now have 100 employees. So they are not a “fly by night” outfit. The company has had some complaints, but who hasn’t? Their BBB score of A+ suggests that Credit Sesame’s complaint-to-resolution ratio, so to speak, is in good shape. So to end this review, I’d say if you want to keep an eye on your credit and check your credit score for free, give Credit Sesame a try.